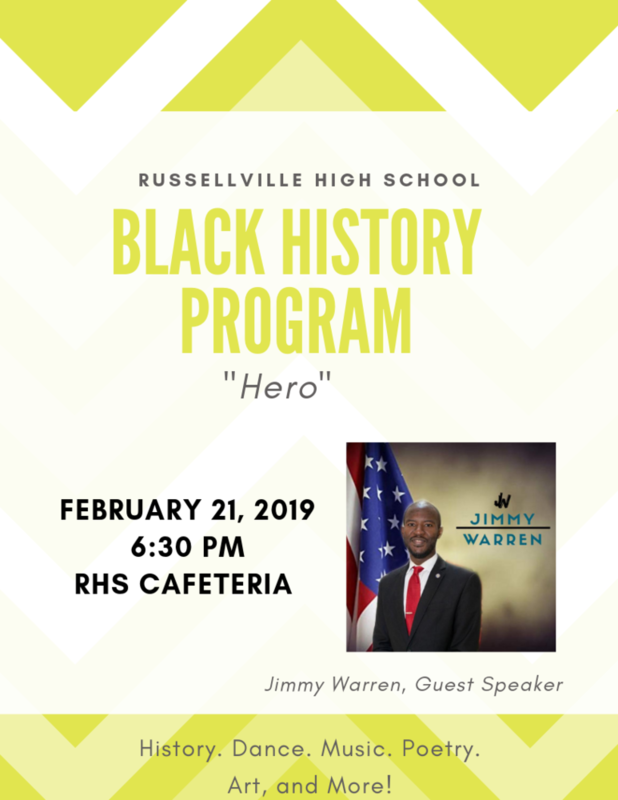 The Black History Heritage Club would like to invite the community to attend the Black History Program on February 21, 2019, at 6:30 pm in the RHS cafeteria. The program was created to bring the community together and recognize the achievements of African Americans. This year the theme of the program is "Hero" (dedicated to African Americans that members look up to as their heroes). The guest speaker is Jimmy Warren, a native of Crossett, Arkansas, and an Arkansas Tech University graduate. Warren is the Communications/Special Events Coordinator for Pulaski County Government Department of Youth Services. The program will consist of: music, dance, performances, poetry, art contest, and speech from the guest speaker. Contact Desha Lewis for more information.